Subscribe: RSS CounterAct provides training, capacity building and resources to environmental and social justice campaigners across Australia. What is happening on Djab Wurrung country, with the birthing trees and how do I help. Firstly, to be clear, we are not a First nations run group. 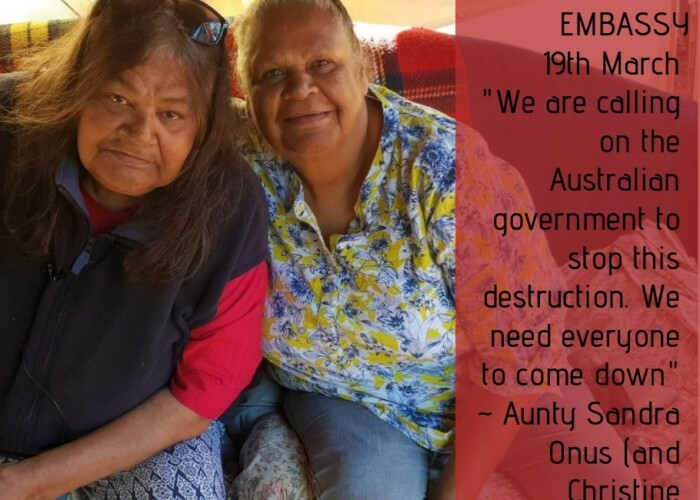 We are an organisation that works in solidarity to train, resource, mentor and support all people across the many Aboriginal nations on this continent – who are engaging in civil resistance – civil disobedience and non-violent direct action – to protect country, and culture, and stand for social and racial justice. One of the ways we can do that is to gather up resources to make them easily available and amplify the voices of mob on the ground when they are busy with acts of resistance. ~ so said some cranky old activist muttering in the corner about Greta being a puppet whilst tens of thousands of young people around the country are prepping signs, writing speeches, bracing themselves for getting out of their comfort zone, organising logistics for rallies, talking political strategy. The tide is turning and a bunch of people haven’t worked that out yet. They are adults. They can’t help being a little slow. When you have a mainstream TV program advertising your March you doing something right! 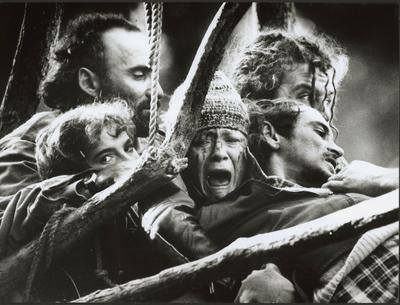 Young people have been at the forefront of social movements for decades…. The difference being – not this young, not this informed, and not this many. 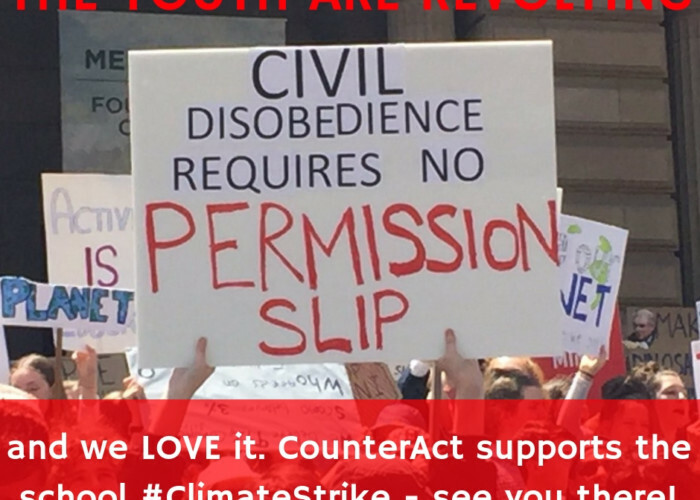 CounterAct has been supporting student activists since we established in 2013. 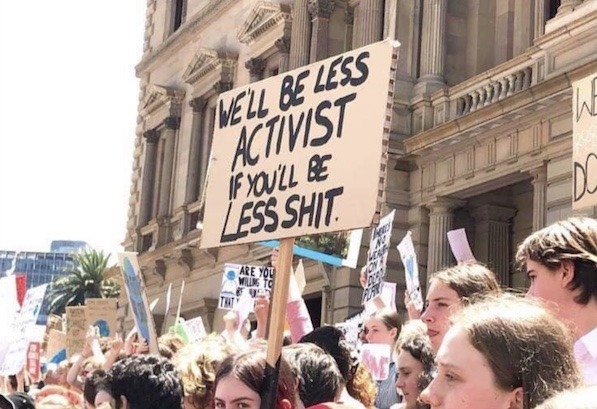 We are thrilled to see the leadership emerging from young people as part of the worldwide #ClimateStrike protests. 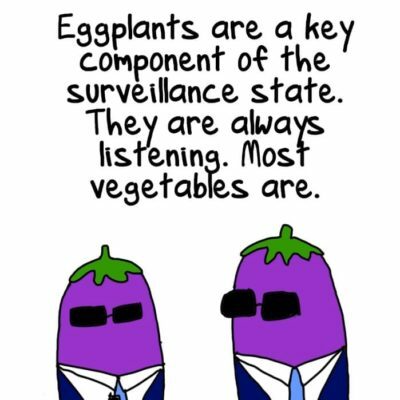 One of our New Years Resolutions is to encourage the progressive and radical movements on the Australian continent to get better at digital privacy and security… essentially putting less of ourselves out into the interwebs for our opposition for free. The climate movement has a problem. If you were to put a stereotype on it, its white, middle class, university educated, and inner city. That was an easy fit a decade ago. Now, less so, but we still have a long way to go. The other issue is that it is hard to define what the climate movement is. If you included everyone who cared about the climate it would be much bigger, but the language used has often been exclusive also. Whilst there have been big leaps in recent years, and leadership shown by young aboriginal people, and pacific islanders, the collective “We” still needs to improve on both how we work, and how we communicate. 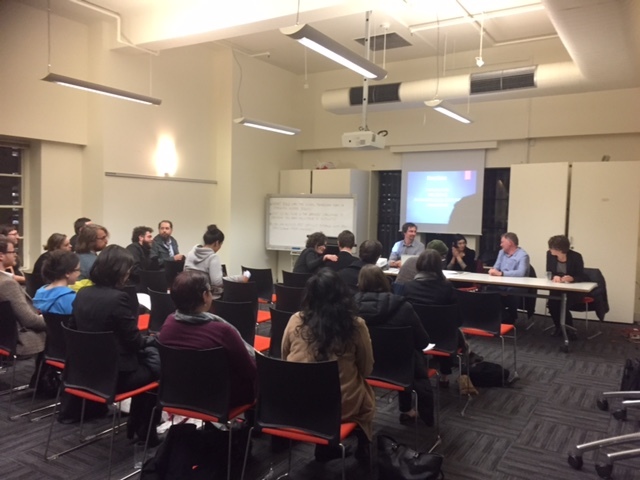 Melbourne Activist Legal Support (MALS) launched our lawyers network with Amnesty International on the 30th May 2017. CounterAct supports and works with MALS and has found our work increasingly overlapping in recent years – as community legal centres get de-funded it is more often up to activists to self educate about the law. We heard from several lawyers with combined decades of experience in supporting activists and progressive causes – Matt Wilson (MALS) Rob Stary, Meghan Fitzgerald and Danya Black. Rob Stary is well known in Melbourne for providing pro bono representation for activists, but also for working with people who have little resource and need support – his work for the people who other lawyers won’t touch is written about more in this article. What an amazing two weeks as we watched the world Break Free from fossil fuels. Some would say it was poetry. The last of the Break Free global actions has just rolled out and it has been called the single biggest act of coordinated resistance to fossil fuels in history. From the stunning display of Ende Gelande in Germany, to Ogoni resistance in Nigeria, Philippines and ten other countries, 30 000 people participated in 20 huge actions on six continents. The movement has set our terms. 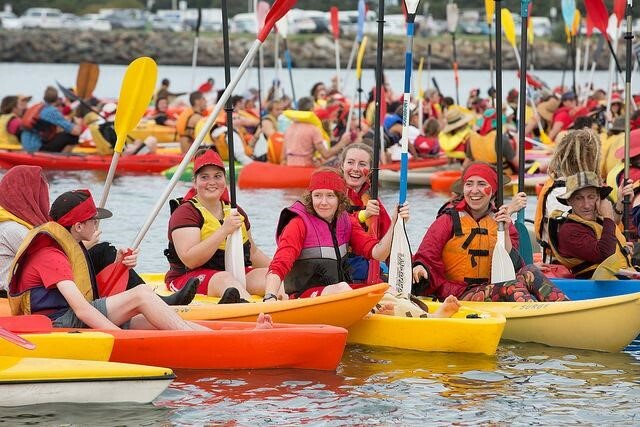 In Australia on the 8th May nearly 2,000 people participated in the largest single act of civil disobedience in the history of Australia’s climate movement. Together people stopped any coal coming into, or going out of, the world’s largest coal ports at Newcastle. It’s a challenging process to write a submission for a parliamentary inquiry that seems so likely have a forgone conclusion. The committee that is examining the tax deductible status and regulations of environment groups telegraphed their desired outcomes long before receiving any evidence. Luckily for us, the mining companies were a bit slow on the uptake so they were allowed late submissions, and then we were – which is exciting – as we thought we’d missed the chance with a full plate, and only slightly less resources than the mining industry. Over 99% of the more than 9000 submissions supported the environment movement, and the incredible history and gains that have been made for everyone in this country – through a range of protest, lobbying, advocacy, markets and divestment campaigning and yes, tree planting. It is timely that I am currently attending an event for Australia’s progressive community – Progress 2013. Whilst there have been some excellent speakers and panels the attendance is dominated by people who can afford to be there, and in the main whose organisations are covering their costs. 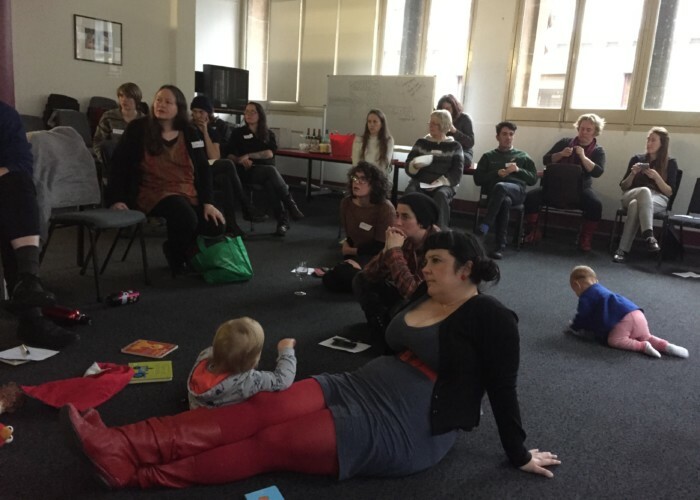 After surveying over 100 self identified activists and grassroots campaigners across Australia it is evident that an event such as Progress is fulfilling some of the training needs of these campaigners… but possibly at a cost they can’t afford.